The practice of looking into the future and forming well-considered ideas about what we might find there requires both rigor and creativity. As we consider the evolution of the digital workplace, it can help to take a step back and consider what changes will occur and the forces that will influence them. This sets the tone for an exploration of the future of work that is first and foremost about human flourishing and how we inhabit the digital worlds of work. 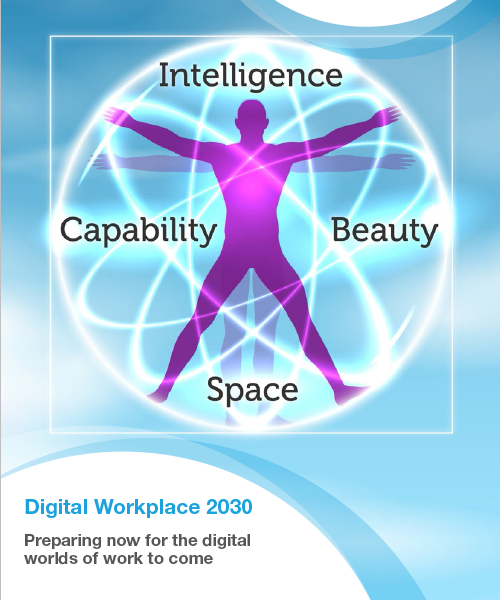 This report offers recommendations and thinking points for digital workplace leaders asking what they should do now to prepare for the workplace of the coming decades.